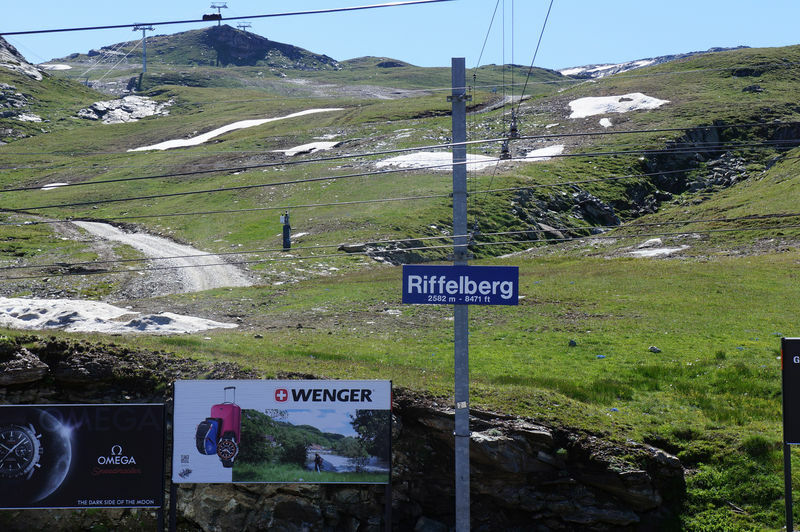 The name Riffelberg refers to the high slopes below the Gornergrat. The vantage point is one of the finest in Zermatt. The summit of the Matterhorn is just 7,500 metres away as the crow flies. Visitors feel exceptionally close to the mountain, yet far enough to appreciate details of the east face, the Hörnligrat ridge, parts of the north face, the hump of the Zmuttgrat ridge – and admire the mountain in all its glory. The “Hore” (as the Matterhorn is known in the local dialect) towers about 1,500 vertical metres above the horizon, solitary and majestic – which is what makes the view so impressive. 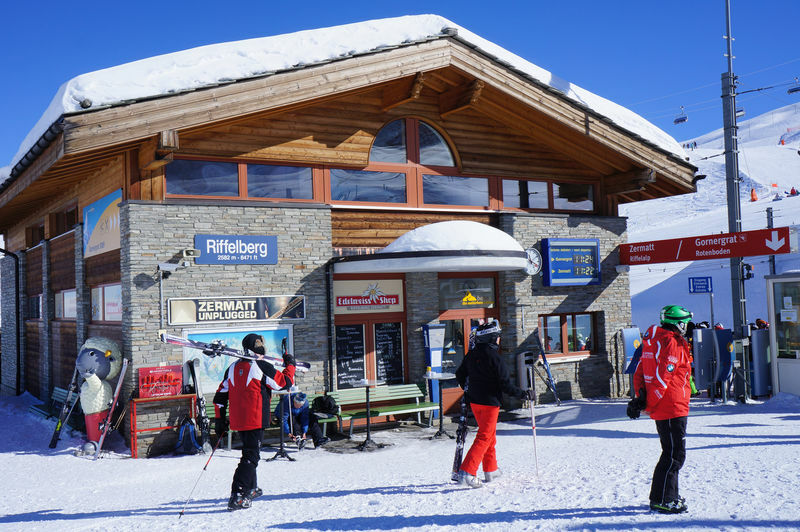 The Riffelberg is home to Zermatt’s oldest mountain hotel. It opened in 1855 as the Riffelhaus, later changing its name to the Hotel Riffelberg – as it is still called today. As the Gornergrat Bahn had not yet been built, people and mules had to carry up all the building materials. In the 19th century, the world’s most famous mountain climbers stayed here, along with many members of British high society. 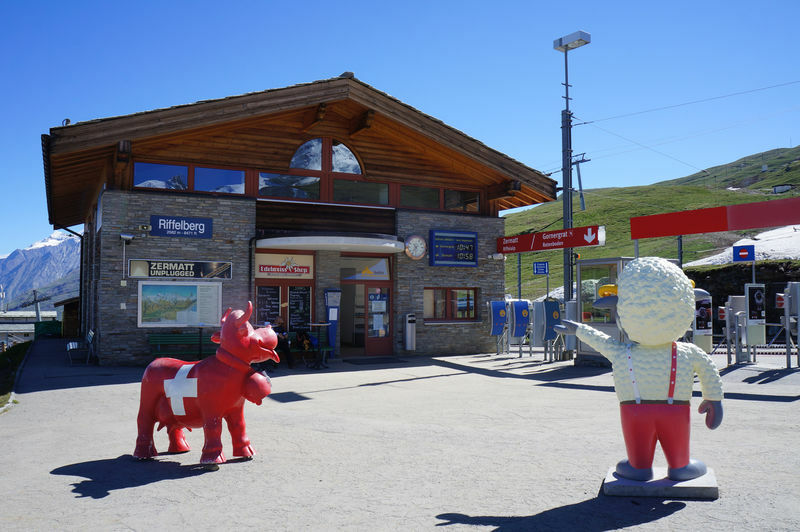 Zermatt’s tradition of mountain guiding also has its origins here. The guides accompanied their guests to many of the surrounding peaks, such as the Monte Rosa (first ascent in 1855). That climb was led by Charles Hudson, who subsequently lost his life during the first ascent of the Matterhorn in 1865. Portraits immortalising many of Zermatt’s most celebrated mountain guides hang on the walls of the hotel. In 1878, the American writer Mark Twain visited Zermatt. The bustling activity in the village and up in the mountains inspired him to write a humorous and biting satirical narrative (see “Reading”, below).